Everyone told you there’s a nursing shortage, so where ARE all the jobs? No one’s made you an offer. You have student loan payments due and you’re panicking. Never fear, new grad! This happens all the time. Here’s what you can do. It’s completely normal to feel stressed about making ends meet while you job search. However, because job searching ISstressful, you’ll want to be extra aware of your self-care. It’s hard to give from an empty tank. Rest, good nutrition, and exercise are now more important than ever. Make sure you’re taking good care of yourself. Every nurse went to nursing school with his or her dream job in mind. Few nurses land thatjob straight out of college. “Your nursing career is what you make it. Paying your dues is generally part and parcel of the process,” said nurse career coach, author, and speaker, Keith Carlson, RN, BSN, NC-BC. Recent graduates should prioritize finding a job that will allow them to develop their skills. So, instead of focusing on your ideal salary, schedule, and specialty, look for a position that puts you in a supportive environment with phenomenal training. If you’re a particularly driven graduate, and it’s hard for you to reign in your enthusiasm for a career in a competitive nursing specialty, then you may want to consider channeling your energyfor now. In other words, don’t waste time being overly nit-picky about your first job. Move closer to a career in your dream specialty on the side. As you conduct your job search, brace for competition. Nursing jobs are NOT a dime a dozen EVEN THOUGH there IS a shortage of nurses. Older nurses are waiting to retire, and nursing schools are accepting and graduating more nurses in response to the shortage. So, unfortunately, you will compete against other qualified nurses for open positions. Accepting the presence of competition can make it easier to handle rejection. Being passed over for a job stings less when you know your competition was fierce. Getting rejected does not mean you’re a failure. That said— new graduates should expect at least one callback for every ten applications they submit. If you’re not getting that, then it’s time to strengthen your application. The two career coaches we interviewed gave terrific advice for those looking to create knockout applications! When crafting your resume, you also want to avoid buzzwords. Your resume is going to be read by a bot and filtered by keywords, so you need to be strategic about word choice too. Paint a vivid picture and be sure to include where you did your clinical rotations, the number of hours you spent in your Capstone Seminar, and the specific specialty you focused on in that seminar. Quinlan suggests using Arial or Times Roman font size 11 or larger, your personal email (not your school email), and a border to anchor your resume. She also encourages new graduates to create a portfolio to showcase their nursing school experiences. If you create a portfolio, include your recommendations, BLS cards, continuing education work, and presentations or projects that demonstrate teamwork. Instead of submitting your application directly to an online job query, you can also contact recruiters on LinkedInand start a dialogue. If you do this, be sure to know what it is they’re looking for in an applicant and what to emphasize. Most recruiters will be looking at BSNs to fill in-patient positions. If you’re graduating with an associate degree, you may have more luck with recruiters who need to fill Subacute Care positions, provided you’re pursuing (or plan to pursue) your BSN, explained Quinlan. Character strengths you’ll want to highlight include teamwork, flexibility, and resilience. Of course, you will only want to speak about the strengths you have. If you focus on strengths that you don’t possess, your coworkers will notice, and you’ll burn valuable bridges. A lot of employers are asking behavioral-based interview questions nowadays. They want to know how you will respond in specific situations, and they figure this out by asking you how you would handle (or handled) various scenarios. Most behavioral-type interview questions will focus on six areas: teamwork, adaptability, time management, communication style, patient-care, and motivation or core values. The best way to answer these types of interview questions is to use the STAR format. Describe the Situation, Task, Actions that were taken, and the Result. Getting an interview doesn’t mean you have the job in the bag. 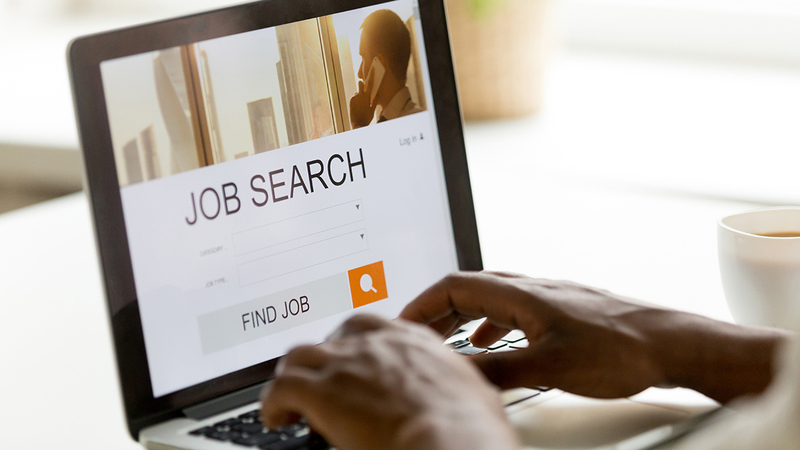 Students who don’t feel comfortable about various steps in the application process may want to consider working with a career coach who specializes in nursing. Don’t despair if job searching has you feeling a bit blue. You’re not alone. If you put our suggestions to work and keep a positive attitude, we’re sure you’ll be grooving down the hospital floor soon. Meanwhile, stay healthy and remember to take some pleasure in the all the new experiences you are getting, even if that’s only learning how to strengthen your application for now. You’re only a new nurse once, so stay calm and carry on. You got this!